Drone pilots come in all shapes, sizes, and experiences levels (emphasis on the latter). You can have a lot of fun with your new, semi-autonomous aircraft, but one thing to remember is that flying any aircraft comes at a risk. Click here to see the best camera drones. Included at the bottom of this article is information on expectations from the FAA. Click here to see the best racing drones. How do I fly it? There are a couple of ways people fly drones. Drone technology has advanced at a starting rate and with it, the ways to control them. The three following are the most popular methods to control drones: FPV, Controller, and Follow Me. h the drone’s eye. This will usually involve downloading an app of some sort onto your smartphone. Your smartphone then slides into the goggles and there you have it! You’re in the cockpit as the drone takes to the skies. FPV can definitely help you see your photos and videos as they are. FPV can be a little tricky, especially when you can’t exactly see who or what is next to you unless the drone is pointed back at you. For us, this can be a little nerve wracking. If you decide to go with FPV, make sure you’re in a safe area away from cliffs and edges. On a side note—you’ll be using a controller in conjunction with the goggles, but you’ll still be able to see things in a different perspective. If the FPV goggles aren’t your thing, simple line of sight flying using the controller will do the trick. Most cameras will be large enough to have a dedicated holder for your smartphone. You can still use your drone manufacturer’s app to see where the drone is going but it won’t be as up close and personal as with FPV. Additionally, having to look up to see where the drone is in the sky and looking down at your smartphone to see what it sees can be a bit tiresome. Nevertheless, many users are comfortable with flying the drone like any other RC aircraft and let the recording do its own work. Most beginner and mini-drones are too small to have this smart feature. However, most hobbyist and professional drones usually come with a feature that allows them to hover and follow their user. That’s right, no controller or FPV goggles needed because the drone will keep its eye trained on you for as long as you want. On the downside, this means that you will only be getting shots of you as you move along your journey. You would have to play around with the controller or app in order to move the camera off of you. How do I get it back in the air? Drones are very intricate pieces of technology and unless you work for the drone industry or build them yourself, chances are you’re not going to know exactly how to repair them should they get in a serious crash. That being said, if you don’t know what you’re doing, you should consult a professional repairman. This can be expensive, considering that the drone market is still up and coming, but in our opinion, it’s far better than purchasing an entirely new one. Yuneec and Parrot either sell some of their parts separately or have guides so you can do some simple repairs yourself. Neat! DJI, unfortunately, does not sell nearly as many parts as its two competitors. Furthermore, if your manufacturer offers insurance plans, it might be a good idea to purchase one of these options if you consider yourself the Maverick of drone pilots. There are three parts of each drone that you should take great care to avoid damage to. Some drone’s bodies are built to handle a few crash landings here and there. That’s why the hobbyist and professional ones usually have landing struts. Regardless, you should try and avoid high-wind, low-visibility areas so you know where your drone is at all times. If the drone’s body is damaged whereas the internal electronics or drive system is exposed, you shouldn’t launch it again. iFixit is a resource that we like because it’s written by people who have probably experienced the same problems you have. The following link leads to a site on iFixit where not all but some drones are listed and their respect repair guides. The unfortunate aspect about most drones as they are not sold separately from the drones themselves. If a crash landing damages the camera beyond use, you’ll have to purchase a new one that is different from the one that came with the drone. Yuneec is one of the few manufacturers that actually sells their cameras separately, which is a huge plus to Typhoon hexacopter pilots. The consensus on the internet is that GoPro’s work the best as replacements, which might be true. However, at the same time, you’re going to have to take the battery life of the drone and the GoPro into consideration. Another factor you’ll have to consider is how your replacement camera will mount on the drone (assuming the drone is intact). If you’re unsure, don’t purchase a replacement camera until you’ve consulted the manufacturer or a trusted online community to know that the camera, mount, and drone will all work cohesively. The propellers are the most important pieces on the drone. They are one of the few parts of the drones that are easily replaceable should they become damaged or malfunction. Drones of all sizes usually come with air guards that protect the propellers from taking the brunt of an impact. If you can identify that a propeller is broken while the wing itself is intact, simply replace the propeller with one of the ones that should come with your initial purchase of the drone. Most drone purchases give you the option of including accessories with your purchase. It’ll be a little more expensive than just the drone itself, but it’ll be well worth it if the propellers become damaged. We’re glad you asked, because this is a very subjective question. You’ll be able to tell if a wing or propeller is completely broken off or separated from the drone, but other situations are going to be really tricky. Here are some situations where sending the drone in to be repaired is the most logical solution. In the end, it’s going to be up to you to decide what constitutes as necessary repairs. We recommend establishing a relationship with your drone’s manufacturer either through insurance/warranty plans or constantly checking the manufacturer website for updates on support and tutorials. Mini and beginner drones are another question. Most of these are going to be less than two-hundred and one-hundred dollars, with the latter going to be more easily replaceable than the former. We don’t recommend laboring too much on repairing these ones if they have suffered major damage. How do I interact with other pilots? Having a good community of fellow pilots can definitely aid your skills and may save you a pretty buck or two. Here is a list of the largest and most popular drone communities for you to explore and network with. These communities are filled with drone pilots of all experience levels and everything ranging from guides on drone repair to information on how to pass the drone pilot certification test. I’ve got a drone. What can I do with it? The major difference between beginners drones and hobbyist/professional drones is the presence of a camera. Some beginner drones come with cameras but they are low quality and the battery life of the drone itself doesn’t give you much time to shoot extravagant shots. A camera drone will get you some film worthy shots, but the bulk of a heavier batter and more powerful propellers means you loose the ability to do flips and crazy stunts. Check out the video below where Carlos “Charpu” Puertolas, one of the best drone pilots in the world, takes his own drone for a spin shows you how to pull some insane maneuvers. If you specialize in FPV flying, this video will really be a treat. Your average camera drone is definitely not going to be this maneuverable. These features are limited to mini and racing drones, which have the small weight and airframe to handle super maneuverability. The truth is, there are a bunch of activities you can engage in with drones with or without a camera. While you’re probably going to have FAA breathing down your neck for a while, the key is to be safe and practice, practice, and practice again. Here are some ideas that may or may not require approval from a higher power before engaging in. If you’re looking to combine a job with a drone, then it’s always good to double check with anyone directly above you to make sure it’s okay. Medical supplies-some drones may soon have LCD screen so paramedics can communicate directly with bystanders. Depending on what your interests are, chances are you’ll find a way to incorporate your drone’s capabilities into them. Just don’t get on the FAA’s bad side. The Mavic Pro is an interesting design by DJI. This drone and the Spark are DJI’s newest drones and as a result, have plenty of fancy features and programs for their users. 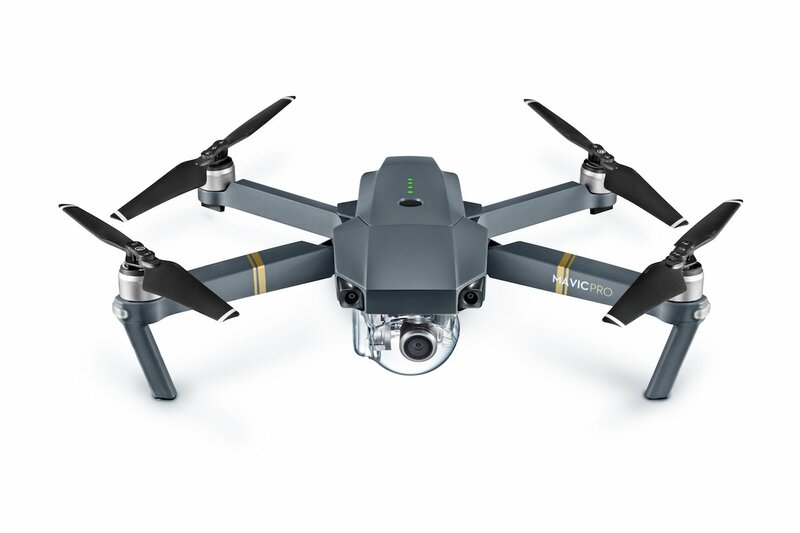 These various features make the Mavic Pro one of the more diverse drones on the market for people looking to maximize a drone’s photo and video taking capabilities. Click here for the list of best camera drones of 2018. The first thing we would like to note about the Mavic Pro is its ability to fold up to about the size of a water bottle, making it compact and easier to carry for traveling. It can be a hassle to carry the drone with its wings fully extended out in the wilderness, thus DJI looked to solve this problem. This drone really marks a transition from hobbyist drones to professional drones for DJI. As with most drones at this level, the Mavic Pro is fully capable of 4k/30FPS quality setting. With twenty-seven minutes of flight time, you shouldn’t worry about getting all the best angles and videos with what you have. Lately, DJI has been implementing hands-free technology, and the Mavic Pro shares this capability with the spark. When you have the Mavic Pro focused and turned towards you, simply make a frame with your fingers and you’ll get a quick selfie. It’s pretty intuitive but if you’re still wary, don’t worry, the drone still comes with a controller. In addition to slight voice control, the Mavic Pro has a number of systems to keep it in the air shooting for as long as possible. What’s great about the Mavic Pro is even if it’s moved beyond visual range, it has the ability to detect obstacles and slow down to avoid them. Furthermore, with the push of a button, it returns home to you. Despite its sci-fi look, the Mavic Pro is a user-friendly drone. Its price might initially deter beginners but the combination of FPV glasses and a highly interactive controller will give you proper control over it. The Mavic Pro is fast, which is unusual for a non-racing drone (for a list of best-racing drones, click here). With a top speed of around 40mph, it can get to where you want it to go quickly. If you’re looking to take a majority of your shots quickly, then the Mavic Pro can get the job done in no time. At first glance, the Mavic may appear to just be a bigger Spark. However, its speed and battery life for example clearly separate it from DJI’s other drones. Don’t let those two features be the deciding factors, however. It still has the greatest camera on the market and its smart onboard features give you a wide range of options for capturing your outdoor (or indoor) adventures. While the DJI Spark may have all the fancy features, Parrot’s Bebop 2 is a fully immersive drone for the pilot still used to the look and feel of an actual controller. While most professional and hobbyist camera drones will have their FPV cameras under their belly, the Bebop 2’s is on its nose. We like the Bebop 2 as an all-around hobbyist drone on our list of the best camera drones of 2017. It’s not too expensive and doesn’t have too many capabilities beyond what is needed by the pilot/photographer. Nevertheless, its main weapon—the HD camera, still packs a punch. The Bebop sports a 1080p/14MP camera that is capable of taking pictures or videos at a wide angle. You can see this for yourself if you held the drone in your hand and watched its camera move at extreme angles. The 1080 camera isn’t 4k, but it’s still high definition. You’ll be able to tell the difference between it and a mini-drone whose highest setting might be 720p. When using the remote control, you can use the Cockpitglasses to see through the eye of the Bebop 2. This fully immersive experience will provide you with an up close look at whatever you’re looking to take a picture of. If you’re looking to get the best shots possible, using the Cockpitglasses is going to be the ideal solution. The “Follow-me” feature that is not unique to the Bebop 2 is one of its best features. If you’re hiking or climbing, the Bebop 2 will simply follow you. That way you can put away the controller and get back to enjoying the world around you. The one downside is that you will have to purchase it from Freeflight Pro App—the app built for Parrot Drones. With a flight time of nearly 25 minutes, the Bebop 2 is better than most mini-drones that compare with it. While you might be keeping smaller drones closer to home. The Bebop 2 is just the right size to take with you into the outdoors. Sure, 25 minutes is probably not going to be the duration of your entire trip, but you don’t have to fly it all in one sitting. The Bebop 2 has an astounding maximum range of about 1.25 miles, which doesn’t seem like much until you actually test that distance. If you’re not looking for all the flashy systems that come on drones like the Spark, then the Bebop 2 is the next best thing. It’s by no means a mini-drone which is why it is ideal for indoor and outdoor activity. We all like to imagine we can use the Force every once in awhile. Now our imagination has quickly become reality with DJI’s newest and smallest drone yet, the Spark. You can hold it up with one hand, but that’s not even its most exciting feature as a mini-drone. Watch this video from DJI to see what we mean. That’s right, this drone is motion controlled. It recognizes certain hand movements according to its user that allow you to position it where you want in the sky. With yet another gesture, in the form of a frame, you can take a picture with the camera pointed at you. That being said, it’s probably the most advanced and user-friendly drone on our list of best camera drones. While you’re certainly able to fly the drone with your hands and a controller, the Spark also slightly autonomous. What we mean by this is in the absence of clear control over the drone, its sensors will pick up obstacles in its way. Another one of its systems will recognize airports and stadiums and warn you to stay away. The Spark’s camera is built into the nose of the aircraft. What is interesting about the Spark is its employment of a 2-axis system. While the drone itself turns or arcs its body, the camera will remain stationary. Other drones employ similar axis systems but few, if any with a camera built into it. This gives the pilot shake free pictures and videos. The highest quality setting on the Spark is 1080p at 12MP, which isn’t the best, but still great for non-professional use. What the Spark lacks in the highest quality cameras it makes up for in versatility. Sure, you’re not going to get shots similar to dedicated DSLR cameras, but you’ll be able to shoot from angles and views far beyond the range and capability of any hand held camera. Its camera has multiple shooting methods that work in tangent with hand movements. The 1080p camera will compensate for factors such as light and shadow to get you a quality picture or video. If you plan on flying the Spark outside of hand range, then be prepared to divert more control to the actual controller. With a flight time of only sixteen to seventeen minutes, it’s not the type of drone to take out into the wilderness unless you have adequate backup power. You’re probably going to be maximizing its hand gesture features and the drone’s sensors don’t reach for miles. That being said, the drone still comes with a smart controller with a built in video transmitter. This will allow you to fly the drone outside of the hand gesture recognition area. It was difficult for us to find anything bad to say about the Spark. Its hand gesture recognition software is still state of the art, so you can’t completely wield the power of the Force with this drone. That mean’s no crazy flips or tricks just by moving your hand in weird motions. Nevertheless, the drone utilizes a variety of tools and software that are easily learnable, making it the ideal hobbyist drone. Check out the price here! If you’re trying to decide between the Phantom 3 and the X-Star Premium, don’t worry, we’ve got you covered. We realize that these two drones are some of the most popular and well-known on the market. We’ve decided to size them up against one another to see what, if anything, tips the balance in favor of one over the other. These are both hobbyist drones and for good reason—they’re both excellent drones for hobbyists and budding professionals. However, as you’ll see in our comparison, there are some small but notable differences. We’ll look at a couple of categories that will help you narrow down your choices. Click here to see our additional list for the best camera drones of 2017. Let’s get into the drones. Both drones utilize an ultra HD 4k camera, perhaps the best camera to go on a drone besides an actual action camera or DSLR camera (we don’t recommend attaching your DSLR to the drone, it’d be too heavy!). Both cameras can rotate from their take-off position while the drones themselves can obviously turn. This will give you a greater field of view and different viewing angles with overlapping planes. A UHD 4k camera is not going to come cheap, that’s why the prices are so high for these respective drones. Here are our reviews the best action cameras of 2017. If you’re also in the mood, click here for the best DSLR cameras of 2017. While the Phantom 3 has a slightly lower battery life than the X-Star, it has almost twice the operational range when unobstructed. 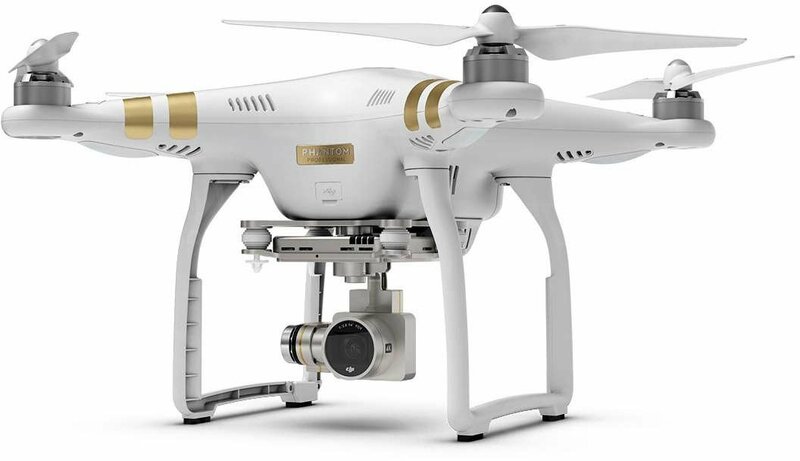 The Phantom 3 also has two additional modules that enable you to track it whenever it moves out of your sight. You’ll be able to see through its eyes through the drone’s smartphone app. However, if you’re looking to maximize the Phantom 3’s operational distance, it can be difficult to position it just by what the drone sees. That’s why it has built in GPS and positional modes to make sure you always know where it is. Aside from being a fantastic shade of orange, the X-Star also has four glowing lights under each propeller, making it visible during nighttime flying. If you want to have the sweetest looking drone in the sky, the X-Star is your machine. You’ll definitely stand out as the pilot of this awesome drone as you take some of the greatest shots imaginable with its ultra HD camera. The X-Star also comes in white. On the X-Star the color looks just as great. No offense to the Phantom, but the X-Star just has a sleeker, built-for-the-sky type look. It was difficult to make a final decision on these drones, since they’re so closely related and matched. We know you’ll be happy regardless of which drone you choose. Both the Phantom 3 and the X-Star are on the border between a hobbyist and professional drone, but both are remarkably easy to fly. The trick with both is that you’re going to have to test their limits. That doesn’t mean fly them into a hurricane, but there are a number of precautions you can take in order to extend the life of the drone. 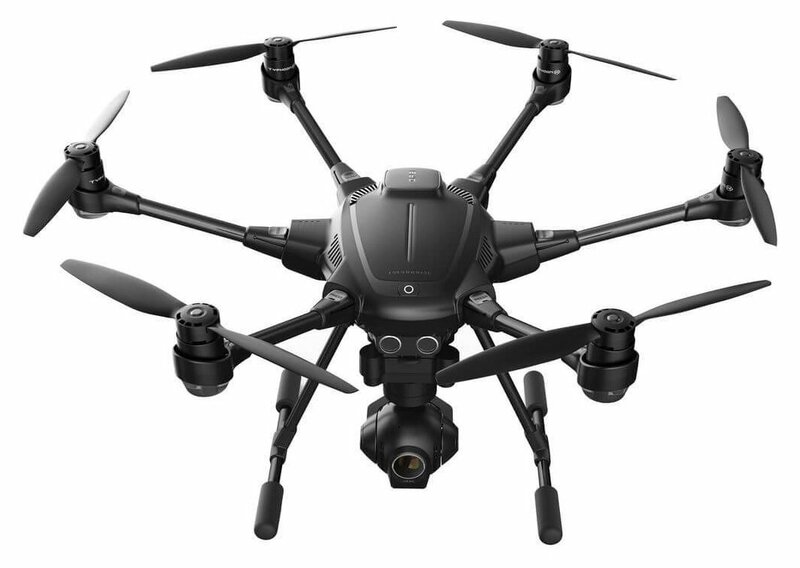 The Yuneec Typhoon is a unique drone and clearly separates the hobbyists from the professionals on our list of the best drones (click here for the guide). As a hexacopter, it has two more propellers than your standard DJI or Mavic drone. You may be asking why it has a need for two more propellers. Apart from gaining additional lift (and looking cool), it sports a new improved camera operating system. This system is only one of many intricate features you’ll find on the Typhoon. The Typhoon really is a marvel of drone engineering. In addition to having six propellers, its camera and mounting system are also pretty neat. The camera is 4k UHD, which is kind of an industry standard for hobbyist and professional drones. It’s mounted under the belly of the drone. The mount allows the camera to twist a full 360 degrees in flight. In combination with the maneuverability of the drone itself, you can capture just about any sort of shot at any kind of angle. 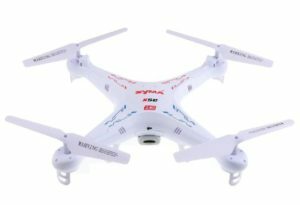 For a drone of this price, it gets nearly half an hour of flight time and has all the features to let you know that the battery is getting low. In fact, it will land itself if the battery runs too low to sustain its flight. Basically, the drone employs just about every strategy to either keep it aloft or keep it from crashing. The Typhoon generates more lift than with its two extra propellers. In the case that one or more of these propellers fails in-flight, the Typhoon is equipped with state of art fail safe system that will keep the drone aloft until you can recover it or fly it back to you. It’s advisable that you recover the Typhoon as quickly as possible should this happen rather than keep it flying. If you need to recover it right away, one of the switches on the Typhoon’s controller will return it to you. In order to capture a variety shots, you’re going to want different angles. Everything about the Typhoon is designed to be efficient in your photography or videography. The Typhoon has four primary modes that give you a wide range of options of which to film or shoot. Journey—Goes as far as 150ft away from you. Routing—Plan a set of objectives for the drone to follow and observe. Orbit—Flies in a circle and keeps the camera trained on you. Point—Identify something for the drone to lock onto. It will orbit it and keep the camera trained on it. As you can see, the Typhoon’s hefty price tag is due in large part to what the drone is capable of. To sum up, the Typhoon is a marvel in drone technology. No wonder it was named one of the best pieces of technology at CES (Consumer Electronic Show) 2016. While it may just about every fail-safe in the book, its still a hexacopter, different than the quadcopters you’re probably used to seeing. Thus it will require some experience with other drones and some practice before you take it out into the wilderness. A drone, or Unmanned Aerial Vehicle (UAV), is a remote controlled aircraft that only recently entered the market for amateur use. Previously one might have seen them being flown by the military. Now that people recognize their potential as a utility aircraft, a variety of drones in all shapes and sizes are appearing in the skies, offering their pilots unparalleled views. Before drones, extended selfie sticks and climbing trees seemed like too much of a hassle (or hazard) to get good videos or photos from above. Depending on their battery life and optimal range, drones can offer you views for miles around or get into tight spaces for the most difficult of shots. Either way, choosing the right drone is going to be a challenge, which is why we’ve prepared a guide to help you decide the one that’s good for your wallet, skills, and needs. The drone frenzy doesn’t appear to be slowing down anytime soon. In the optics and video making world, the view and perspective provided by drones can be breathtaking. Not only are people snatching up drones, but they are specifically after camera-equipped drones. These drones come equipped with different quality of cameras while others are built to hold smaller cameras and GoPros. Depending on your experience level and the shooting you want to do, different drones will be more applicable to you than others. The higher the quality and the heavier the payload, the more expensive the drone. We don’t recommend fidgeting with the drones that come with cameras, as the drones themselves are extremely delicate. You’ll see a variety of drones on the market, but the majority of them are going to be quadcopters, which offer the most stable flight. However, you’ll see everything from cute little single propellers to massive behemoths that can sport six or eight propellers. DJI—One of the most well-known drone manufacturers. They make the “Phantom” model which is a very popular line of drones. Yuneec—Manufacturers higher quality drones with advanced systems. Typically marketed towards the higher end hobbyist and professional. Autel—A newer startup that created the X-Star (listed below). As a smaller company, they have a create customer service reputation aside from having a reliable drone. Force1—Makers of smaller, more numerous drones that don’t have high-quality cameras, but are still a joy to fly. These drones are the cheapest on the market, but that shouldn’t be a reflection of their trustworthiness. While inexpensive, they can still carry basic cameras (most being 720p quality) or different types of GoPros. They’ll get the job done and be generous to your wallet. They are the perfect entry-level drones not just because they are small and cheap, but because their flight time is usually pretty short which keeps them in range of you or whoever is the pilot. As a result, you should probably fly them around or close to home for an easy recovery. The X5C is one of the cheapest drones on our list and one of the best in terms of all-around quality. The photos and videos you take on its HD camera are pretty standard and nothing too special. With a flight time of 6 minutes, you’re pretty limited on what you’re able to do, which also makes it a versatile indoor/outdoor aircraft. While the flight time is indeed small, it doesn’t limit the aircraft on where it can fly. The indoors are a perfect environment to operate without having to worry about the wind taking it and throwing it off course. Onboard nighttime lights will also come in handy if you’re looking to fly it in the evening. The X8tw is a unique drone in that its 720p HD camera comes built into the body of the drone. This will appeal to concerned drone users if the drone malfunctions or bumps into the something—the camera is protected within the body. This doesn’t mean that you should fly around recklessly! You can fly the X8tw with either a remote control or by your fingers if you choose to download the app for iOS or Android. This drone is perfect for beginners looking to mesh their skills with aerial photography and flying in general. The APP-RC takes the cake for one of the coolest looking drones of any price. It looks like something you’d find in a video game or movie. Better yet, it almost fit’s in the palm of your hand with its built in 480p (0.3MP HD) camera. The APP-RC used unusually advanced technology for its control and imaging systems, allowing the user to see through the eyes of the drone from a smartphone app and recall with a push of a button on the controller. Its propellers are completely encased in air guards. Most drone’s you’ll see only have the air guards around portions of the propellers because they add weight and shift airflow around the drone. If you end up dropping the APP-RC, chances are it’ll fair a lot better than most drones. Its small size will also help in minimizing damage. The camera isn’t the best quality in the world and flight time is about six minutes. That being said, the fact that it does have a camera mean’s you’ll still be able to use it to take pictures, you just won’t have much time to do so. Regardless, the APP-RC is still a very reliable drone that will be fun for everyone from the beginner to the pro. The GordVE is also another drone with a sleek, almost sci-fi look design. It’s about twice the size of the APP-RC and is praised by users just as much. A flying time of around 8-9 minutes gives it a little boost over the APP-RC. The drone also comes equipped with a headless mode, giving it increased agility and mobility. The most notable fact about the GordVE is its camera, capable of 720p and 1080p, which is almost unheard of for a drone of this size and price. Furthermore, if you happen to have a VR headset or glasses, you can connect to your phone and see what the drone sees. Now that is some next level technology. Holy Stone’s F181 is a comfortable compromise between affordability and versatility as a beginner’s drone. It’s 2MP (megapixel) will deliver you crisp photos from wherever it’s positioned in the sky. Perhaps its greatest quality is its “headless” system, which means the drone will always fly forward, backward, side to side regardless of which way the “front” of the drone is facing. Wi th different percentages of power settings, this is perfect for beginners looking to test their skills over time. One drawback of the F181 is its meager flight time, anywhere between 7-9 minutes and a range of only 100 meters. This means that it’s preferable for beginners who aren’t looking to go up high or too far away. With a total charge time of around 80 minutes, it seems a little unbalanced regarding what you get from flight time. As a result, you should plan out where and what you want to see with your drone before you lift off. Once the charge runs out, your drone should be nearby, or in your hands otherwise, it’ll drop out of the sky! The DBPOWER drone is well liked among the drone community for its durability and maneuverability. Many users have complimented the DBPOWER on its ability to withstand (moderate) punishment and keep flying. It has a different overall design than Holy Stone’s and TOZO’s with a small body and its propellers located inside their respective guards. Like the F181, the DBPOWER can be controlled via an app on your smartphone. Even more, you can tilt your smartphone in any direction, and FPV will respond accordingly. If you’re feeling brave, give the DBPOWER’s 360-degree flip capability a try! The DBPOWER comes with a 720p HD camera that will have to be set manually before flight. 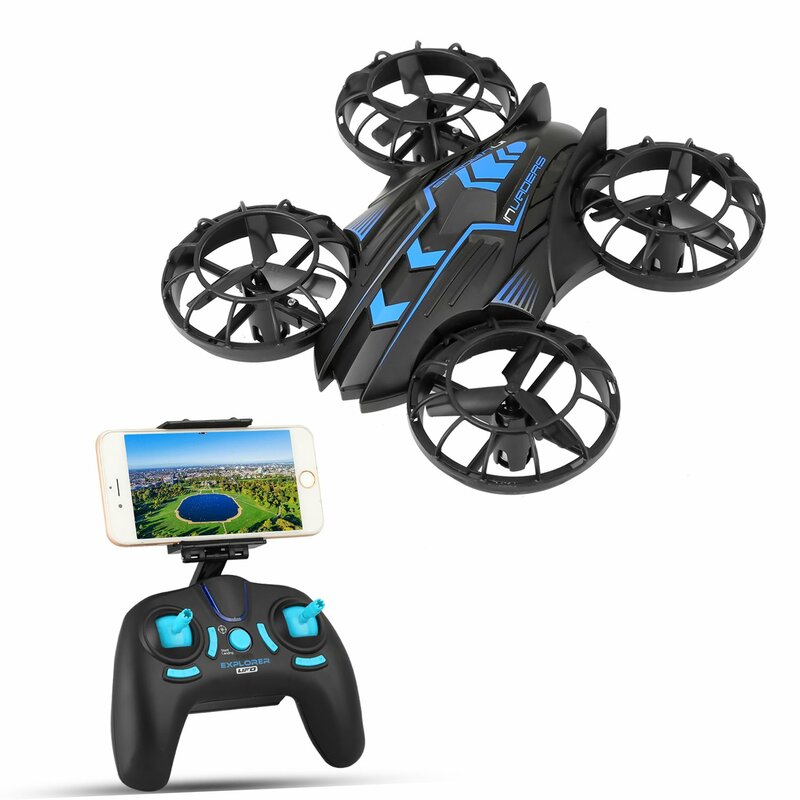 The Force1 Blue Jay is a cutting-edge beginners drone, mainly due to its features and capabilities that allow the user a wide range of viewing and function. Like some of the drones on this list, it is controllable via WiFi and a smartphone app and can be viewed through a VR headset/glasses. One of the Blue Jay’s most interesting features is its ability to fly a set path unassisted from a pilot. If you’re unsure about your skills as a pilot, you can try out the Blue Jay’s onboard navigation and allow it to fly itself to its destination along a series of points. Force1 also manufacturers the UDI drone. This drone is somewhat similar in design to the Blue Jay and just as fancy when it comes to capabilities. The UDI shares the same route mode that the Blue Jay has, enabling it to fly along a series of points that you create for it. A 720p/2mp camera is perfect for a beginner pilot and photographer. As a forethought, you should try mastering the drone before you try to take the craziest shots possible. Some people like the skip cheaper drones and go straight to the best sellers. Companies such as DJI and Yuneec are some of the most well-known drone makers due to their unique design of drone. While the following drones aren’t necessarily made for children, they’re not the most difficult to handle either. If your child or friend who has no experience with drones, check out one of the ones below. Be sure they practice long before they start pulling crazy maneuvers and flips. These drones will probably require less assembly and an easier learning curve than the ones built for pros but need more patience and practice than the beginners. Since they are more pricey, we recommend you study tutorials or even converse with fellow owners about your newer drone if possible. The DJI Spark is the first “mini” drone to make our hobbyist’s list. The 12mp/1080p camera and video automatically qualify it in the optics business, but what makes it worth its price tag? When we think of mini-drones, we’re normally aware of their short flight time. However, the Spark uses a more powerful 11.4V LiPo battery, doubling it’s smaller cousin’s flight time from 8-9 minutes to about 16 to 17 minutes depending on flight patterns. Like most of the hobby drones on this list, a smartphone app allows you to see where the drone is going while you use a remote control to dictate its movements. Since the Spark is one of the latest pieces of DJI technology and the smallest at that, it comes with propeller guards for increased protection against accidents. Especially with the price involved with the Spark, you want to take every precaution possible to ensure its safety. The F100 Ghost is a basic design for a much lower price than drones that come with their cameras or GoPros. The F100 specifically can carry the GoPro Hero 3 or 4. Keep in mind this will add extra weight to the drone and detract from total flight time. Regardless, it will save you from having to buy a more expensive drone that will come with a camera-equipped. Drones can make a lot of noise with their fast-spinning propellers (not counting how many of them they have). The F100 utilizes brushless fans that spin more quietly. If you have neighbors that were upset at the sound of your last drone, they’ll be much more accepting of this one. If you’re feeling even more daring, try testing out the F100’s maneuverability in a 360-degree loop! The Bebop compliments its cute appearance with an arrangement of stats and abilities that make it worth its price tag. First and foremost, the camera shoots 1080p videos and 14mp pictures, which is pretty high quality for a drone of its size and price. The camera itself is built into the body of the drone, so there’s need to worry about the drone crashing and crushing the camera under it. 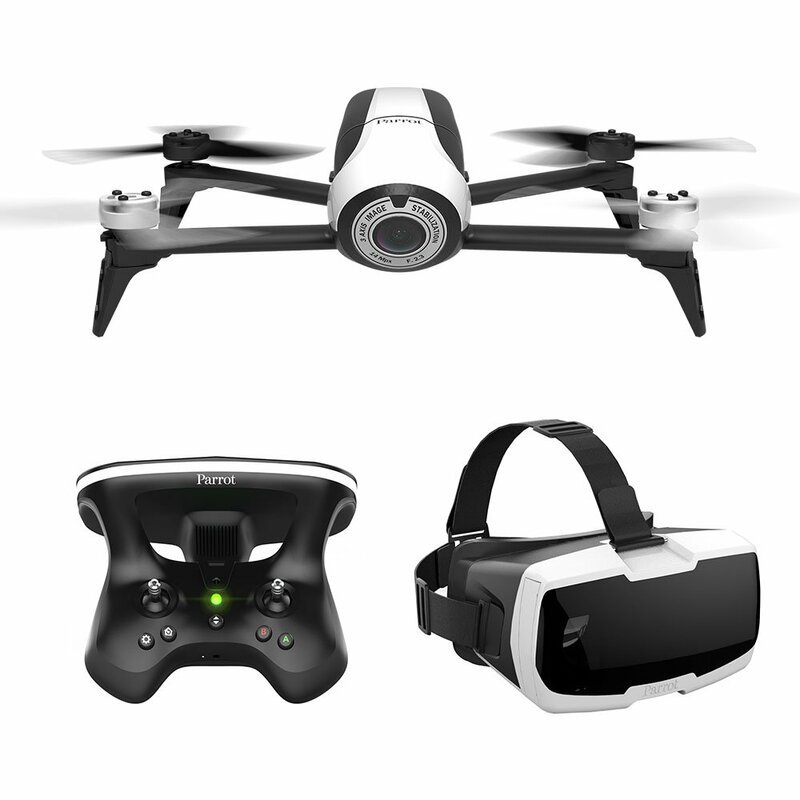 The Bebop comes with a state of the art controller along with VR goggles (connected via the smartphone app), so you can see through the eyes of the drone. This feature can provide you with enhanced mobility and awareness of the drone’s surroundings. What many users have enjoyed about the Bebop is its near half-hour flight time, which is a huge boost over the beginner drones. That being said, using the Bebop’s smart features to keep it safe and within range will dramatically extend its lifetime. The Phantom is probably one of the better all-around drones in every aspect compared to drones both more or less expensive. 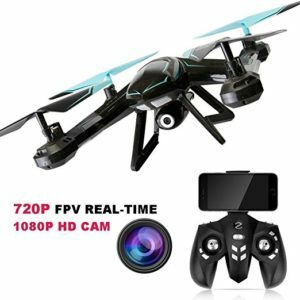 An extended 25 minutes of flight time is sure to give you enough time to accomplish what you want to see or shoot with its attached 2.7K video/12mp camera. This camera is a much higher quality photo/video taker than any other drone before it, which is why it’s the most popular. You’ve probably seen someone’s phantom flying around with its distinctive white and red paint scheme. The Phantom’s flight controls can be a little tricky, so we recommend experience with easier or small drones, to begin with. The Phantom uses WiFi, GPS, and an onboard compass to maintain its flight, and having complete control over all is going to take some practice. However, once you master having to handle the “flying samurai sword” as one user joked, you can expect your videos and pictures to turn out even better. The Phantom 3 is the face of the drone industry, and its line of products is probably one of the most numerous in the sky (discounting smaller, indoor drones). The Phantom 3 has a wide reputation for also being the best all-around drone for a number of reasons including price, flight time, and camera quality. A 4k UHD(30 frames per second)/12mp video and camera are some of the most high-quality optics available to amateurs for under a grand. The Phantom sits right on the median between amateur and pro, with most drones following being more for professionals with specific jobs. If you’re a beginner looking to jump right into the Phantom 3, then you’re in luck. The Phantom 3 comes with a beginner’s system that will show you the basics of this advanced drone before you start to fly like an experienced pilot. This drone has just about everything you could ever need. Its various systems will allow you to get precise shots and remain aloft for just over twenty minutes. The photo taking is amazing, but the Phantom 3 is known primarily for the 4k video quality, almost unparalleled in the drone market unless you want to spend more money. With the drone’s versatility, it seems ludicrous to not take advantage of long video shots as the drone flies overhead. The Autel X-Star is a simple looking drone not too unlike the Phantom 3. A 4k camera separates it from the competition. The X-Star is unique with its smartphone/tablet app in that i f the app crashes or your phone dies during flight, the remote control has an LCD light that will tell you when the battery is low. That being said, you should (and are required) to keep the drone within sight. The mounting device linking the drone with the camera is removable. The X-Star gives you the option of mounting a different camera or trying out modifications. If you do want to modify the drone in any way, you should consult drone forums for advice before trying to pry pieces away from the body. As you can probably tell by now, flying drones is no easy feat. The price tag and learning curve are directly related—as one increases, so does the other. The following drones are equipped with (or can carry) some of the best quality cameras that are drone applicable. These drones aren’t for beginners. The experienced drone pilot will have good knowledge of a particular aircraft’s advanced systems in order to maximize the efficiency of photo or video taking. They will also know the basics on how to keep the aircraft out of harm’s way. This is why you’ll commonly see the operators of these drones with experience in a variety of other drones. The Typhoon has an even more intricate design as a hexacopter with six rotating propellers. This drone marks the transition from amateur to professional with its hefty price tag. The Typhoon’s advanced GPS system allows it to track the user without controls from a remote or phone. Whether you’re walking, running, or swimming, the Typhoon will follow at a distance and provide you with unbeatable views from above with 4k, Ultra HD quality. A notable feature of the Typhoon is the presence of a fail-safe rotor system. In the event one or more propellers fail, the drone will automatically adjust to the loss of power and keep itself from crashing to the ground as long as possible until you can recover it. There are similar drones for around the same price, so what makes the Typhoon so different? To start, the camera has a 360-degree range of motion and a 98-degree field of view. This enables it to see most things directly below it without moving a mechanical muscle. This feature is only one of many “smart” features that the Typhoon is capable of which makes its price tag all the more worth it. The Mavic Pro is another intuitive design by DJI so you’re probably asking, what makes it so different from the Phantom 3 or the next step up, the T600? First off, it’s a pretty versatile drone. We like to use that word a lot, but the Mavic Pro really takes it to the next level. It can fly close to 40mph at top speed and its wings can fold to a compact size. It has a maximum range of 4.3 miles, which is almost unheard of when we look at cheaper and smaller drones. These physical features already compliment the drone’s 4k camera, which sits in the nose of the aircraft. Furthermore, the camera is perfectly stabilized along 3 axis’ in the nose, giving you stable pictures and videos for the duration of the flight. Like the Spark, the Mavic Pro also utilizes a hand control recognition system but to a lesser extent. This drone takes many of the strengths of other DJI products and combines them into one, really fast drone. Sometimes being a pilot and photographer can be a hassle if you combine the two jobs. The FAA wouldn’t be happy with you! That’s why the designers at DJI have created the T600 (not the terminator) to split the jobs of pilot and photographer and maximize performance. The T600 comes with two controllers—one for the pilot and the other for the photographer/videographer. This innovative design will help you and a partner control both functions optimally without compromising the other’s ability. 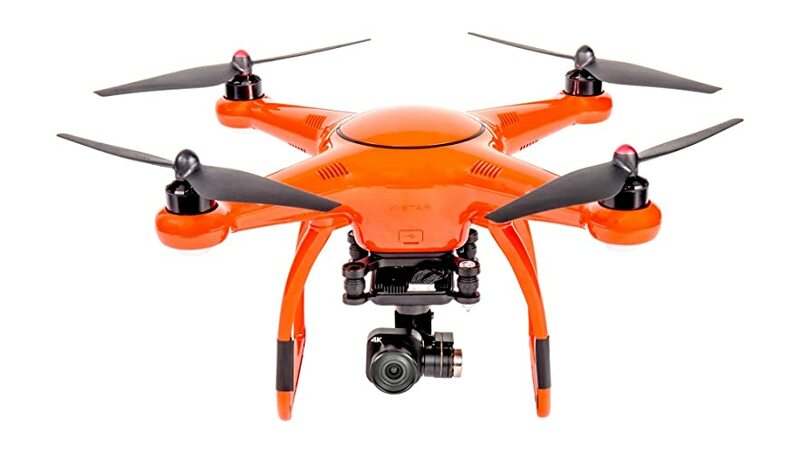 A 4k/12mp camera will surely accomplish all of your photo and video taking needs as this drone has the capability to fly nearly 1.2 miles away and stream whatever it sees directly back to you. So what makes this drone special in our hearts? Aside from the astounding 4k/12mp camera, it has indoor and outdoor uses via its intricate design. This gives it a more steady flight pattern compared to other drones with heavier propellors or unusual designs. The ALTA UAV is the ultimate workhorse for the professional artist. The price tag is astronomical, but we reckon you know what you’re if you’re considering this drone. This heavy-duty drone is strong enough to carry a basic film camera or any optics up to fifteen pounds. For easier transport, the ALTA folds up nicely. Obviously, it’s not made to make the nifty flips and turns like the smaller drones, but you’re likely to get some of the best shots and videos of any drone on this list with the ALTA. Despite its size, the ALTA’s highly sophisticated controller allows for more complicated maneuvers. It would be very good idea to test your skills on a variety of drones before taking this beast on. Congratulations! You’re almost ready to get your drone in the air. 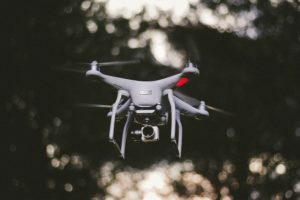 First things first, however, there are a couple of very important pointers and regulations you are required to know before your drone can even leave your house. Most beginner’s drones, due to their small size, can’t go beyond your house. Most only have flight times of less than ten minutes. 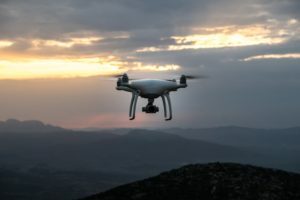 Regardless, the Federal Aviation Administration is extremely particular about keeping drones away from vital areas such as airports, power stations, and densely populated areas. As such, the FAA has created a list of drones (usually some of the bigger ones) that it requires you to register if you own it. 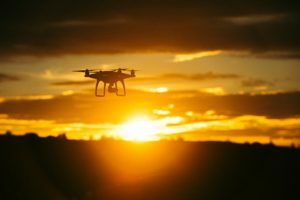 If you are the owner of the drone, the FAA will usually require you to register as a pilot as well. This may seem a little detrimental to the fun you’re looking to have, but it’s all necessary. This registration and various courses on drone safety will educate you on piloting best practices. Once you’ve completed any and all necessary documentation and courses with the FAA, you’re free to enjoy your drone! Your drone is an expensive piece of equipment, and we would like for you to enjoy it as long as possible. Therefore we’ve compiled a list of best practices that you should at least be aware of as you introduce your drone to the wild. Keep it safe—don’t leave your drone lying around when you’re not at home. It’s an expensive toy, and many people would love to take it off your hands without asking. Clean it—chances are you’re probably going to have one or two crash landings in your drone’s lifetime. Make sure to clean off any water or dirt that may have stuck to it. Extra batteries—your drone may have room on its body for an extra battery. Most extra batteries don’t come free. If you want to extend the flight time of your drone, an extra battery will usually double it. Check forums and reviews—you’re not the only one to hold your type of drone. If you ever need an answer, check various drone forums or consult the manual relentlessly before trying to get a hold of the manufacturer. Try all the features—the drone’s features and capabilities aren’t just for show. Some of them, like the “recall” function, will save the drone if you lose sight of it or don’t know what direction you’re heading. Drone safety is critical, especially to the government. You’ll most likely have to register as a pilot to fly some of the bigger drones or fly them near residential areas. Please read up on your drone’s manufacturer with drone regulations before taking flight. In any case, the drones we’ve prepared for you have proven their worth to photographers, videographers, and filmmakers alike. With all the different brands and their constantly increasing number of drone lines, it can even more difficult to find the right drone for yourself even if you’ve identified a particular brand. The first thing you should understand about drones is that the more advanced you go, the more training and specialization needs to be done. Beginners will have an easier time choosing drones. The smaller ones will be easier to fly and have less flight time, which will keep them in range of you. Let’s face it, if you’re buying drones that are starting to go into the hundreds of dollars, you’re probably looking to maximize the capabilities of its camera and video. If photography is your game, then you’ll immediately discount the beginner’s drones and go straight for the DJI or Yuneec based drones. Just because you are a professional artist doesn’t mean you should treat the drone any differently than any other optic. They should be well maintained and kept out of harm’s way or the hands of small children when they’re not flying. The more you take responsibility for it and keep it out of dangerous conditions, the longer it will last you.